iDancehallReggae.com::Caribbean Lifestyle Media::: TIDBITS: G-Whizz Releases New Party Track, "Weekend"
TIDBITS: G-Whizz Releases New Party Track, "Weekend"
If things go G-Whizz's way, this summer will have a lot of frosty weekends. 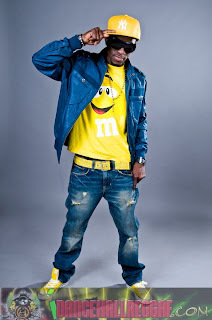 Dancehall/Reggae artiste G-Whizz has released a new single,Weekend, which was produced by ZJ Ice. The single which promises to be another hit under the artiste's growing repertoire is not only a great party anthem but also extremely catchy. Infact, although the track was only released a few days ago, fans are already loving the carefree excitement conveyed in the music. G-Whizz whose correct name is Garland Rowe and is known for his previous hits Life , On and On and others, says he has been remaining focused on writing, releasing great music and performing across the Caribbean and the US. "Right now I'm trying to stay motivated and focused on what I have to do and always give my fans great music. The video for my techno track Feel It is doing well so far and the people overseas especially love the vibe," he said. Also making waves, are his two singles Mama and Tomorrow which are ranked in the number four and eight positions respectively, on the Stampede Street Charts.